Meat products have been the main drive of HPP technology in the last years. High Pressure Processing is the most viable step to extend shelf-life keeping freshness, maintaining high sensorial and nutritional qualities and improving food safety without the need of additives or artificial preservatives. 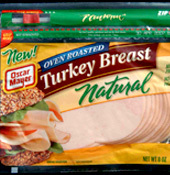 Sliced ham, turkey or chicken cuts, ready-to-eat products, whole pieces of cured ham, these are only some examples of products processed by HPP that can be found right now in international markets. Extended shelf life-Quality. Extends shelf life with no effect on flavour or nutrients. No need of adding preservatives to the product. Elimination of vegetative pathogens and spoiling organisms. Cross contamination is not possible because HPP is an after packaging intervention. Brand protection. Complete food safety of ready to eat meat products. 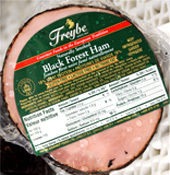 No need to concern about Listeria, E. coli, Salmonella… Ideal for sliced and diced meats. 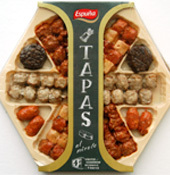 Innovative Meat Products development. New, safe, functional products - such as low salt or Omega 3 added – can be developed. The process is suitable for both: vacuum-packed and modified atmosphere packaging (MAP).